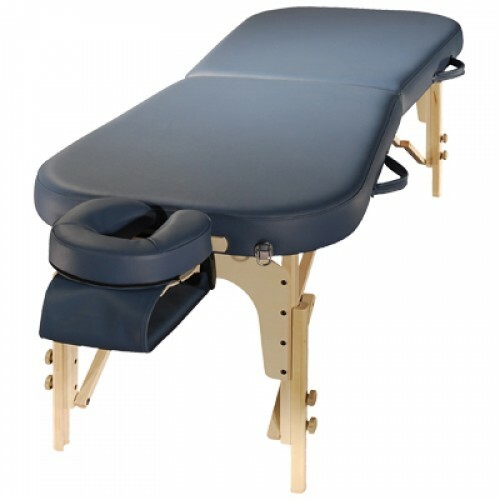 The massage table “SM-6-1” is a universal model, which perfectly combines quality and price. This table will provide to any customer maximum convenience and pleasure of a procedure. The table is made of high quality material - beech wood - and covered with a layer of lacquer for a better protection of the surface. Massage table has a basis with two sections, which is adjustable in height. This table has a wide range of applications from the massage room to the medical center. The table is very reliable thanks to a special device - constrictions - which are located between table’s legs. The massage table has a stylish and practical design. It is certified and has a long life. A warranty for this product is 3 years. For its specification the table meets all quality standards. The workload of a massage table is 250kg. This table has enough advantages to be called the best in its class.